The MV Similan Explorer has been running 4-5 nights tours around the captivating Similan islands and Richelieu Rock for 13 years now. MV Similan Explorer offers a basic yet comfortable living space, which can accommodate up to 20 divers within 8 comfortable cabins. If you are looking for a cheaper option, this boat still offers a wonderful experience. Guests can choose to socialize in the open-air dining area or on the sundeck while taking in the stunning thai scenery. Various diving books written in various languages are available, along with music to listen to or movies to relax post-dives. Snacks and drinks are available 24 hours a day. Satellite phone & cellphones are also available for use. Craving bread, omelettes, ham, sausages or maybe corn flakes for breakfast? When on board the MV Similan Explorer, this liveaboard also takes its food seriously. The talented chef serves a delectable menu of Thai and other international dishes, served up in a delicious buffet. Diets are catered for and guests can take advantage of the free drinking water, coffee, tea, electrolyte drinks and biscuits. “The first contact I had with the Similan Explorer team was through e-mail. Ever since, they have been prompt, friendly and professional. I knew I was in good hands. All the details and instructions they provided were clearly understandable, with no grey zones, hidden fee to anything unpleasant. My stay on the Similan Explorer was amazing. I shared a cabin with other girls, it was roomy enough, comfortable and clean. The service from the boat crew was always excellent and we had much fun with them. Everybody was extremely knowledgable and competent. The tour manager, also a dive master, was leading the briefings and making sure everybody got everything alright and was fully ready for the dives. “I just came back from my second adventure on the Similan Explorer. I cannot say enough how amazing it was, the first AND the second time. First, the destination : the Similan Islands. Such a beautiful area of the world with crystal clear waters and the finest sand my feet have ever walked on. You can discover the inside of those beautiful islands between the dives and get to some stunning viewpoints. Second, the DIVING : absolutely A-MA-ZING!!! The Richelieu Rock is well preceded by it’s reputation and sure honours it. All the dive sites are different, unique and every single one has something to offer. I was lucky enough to see many whale sharks, some I could even swim along with them. Manta Rays so large I could not believe my eyes. Read more about the best Liveaboards in the Similan Islands here. 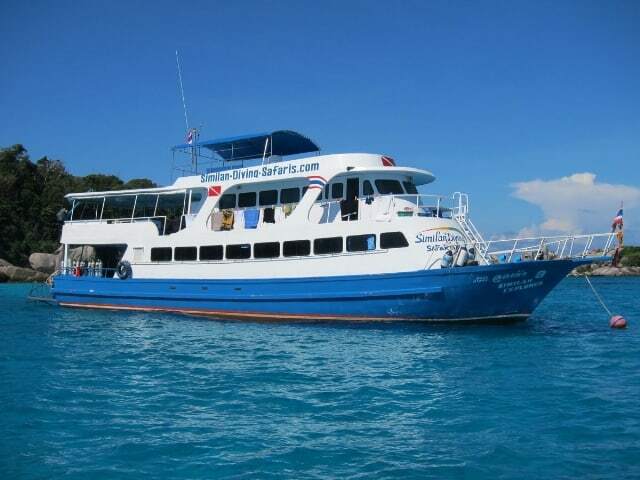 If you have been diving on board this liveaboard dive boat in Phuket & Similan Islands, please share your review and let us know what you thought. Please post your comments in the review section below, by doing so you will help fellow divers to plan their next diving trip . I booked with the MV Similan as I read 5-star reviews about this boat. 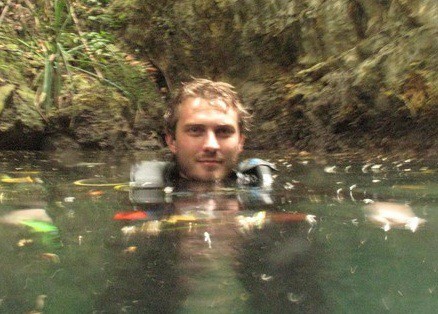 I’ve always wanted to dive in Asia and I wouldn’t want anything to go wrong. I wanted an ultimate relaxation doing the thing I am most passionate about for the past 15 years – diving. And I made a good choice. The dive masters were approachable and have been on the business for quite some time, prompting local knowledge on the area and with their guidance, the group and I have enjoyed a worthwhile experience in Similan Islands. I have always been fond of having English speaking dive masters as it would be more convenient and safe for us. The organization made sure that we had a lot of attention by having only four to five divers per dive master and that also means that we get to all be adults underwater and no drifting off. I would want to go again and maybe bring my friends over as they do have this discount if your bring 9 divers and the extra space is for free. Not a bad thing since down payment required is also only 30%. Plus the cost is nothing compared to the wonders of the sea. With the string of islands like the Maldives, Similan islands have been turned into a national park that protects turtles especially during the hatching season. With the local government’s efforts, the richness of the biodiversity is coming back. Coral reef formations, sharks and whale sharks are very common. Many thanks to the crew of the Similan Explorer, loved how they run the cruise and I would be seeing Similan Island again next year. I have to say that my boyfriend and I were not so sure about booking a Liveaboard. The reason being that we are not very experienced divers yet with only 30 dives under our belt and we have not met much adversity yet while visiting the underwater world. When we talked with the Similan Explorer crew about the possibility of going on a trip to the Similan Island and our uncertainties regarding our diving abilities, they were great, told us what we can expect and reassured us on our level on diving. We then decided to take a 5 days trip on board the Similan Explorer vessel. We now are so glad we did because beside adding many dives to the toll, we gained much skills, knowledges and confidence. The dive masters were awesome, helpful and easy going. The dives were all wonderful, we were also very lucky to have the weather on our side. If you are not sure about your skills or something else, feel free to go inquire if you are around or e-mail them, they are great, prompt and friendly. You won’t regret booking such an adventure. Although not a luxury boat, MV Similan Explorer still offers a great standard of customer service and care.